Money is the foundation of any business. Without money, you can’t deliver your solutions, spread your message, create an impact or gain your financial freedom. Yet, many businesses don’t make money. Entrepreneurs sink in all their time and resources only to end up with a cash-eating monster and no profit. 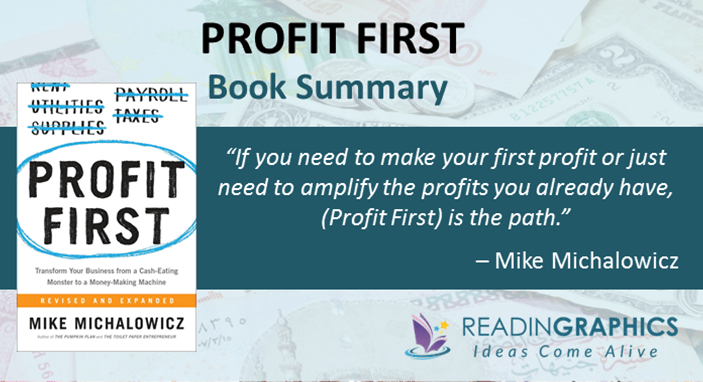 In this Profit First summary, we’ll outline how you can use the Profit First approach by Mike Michalowicz to grow an efficient, profitable business and get more results with less effort. This approach works for both new and existing businesses. 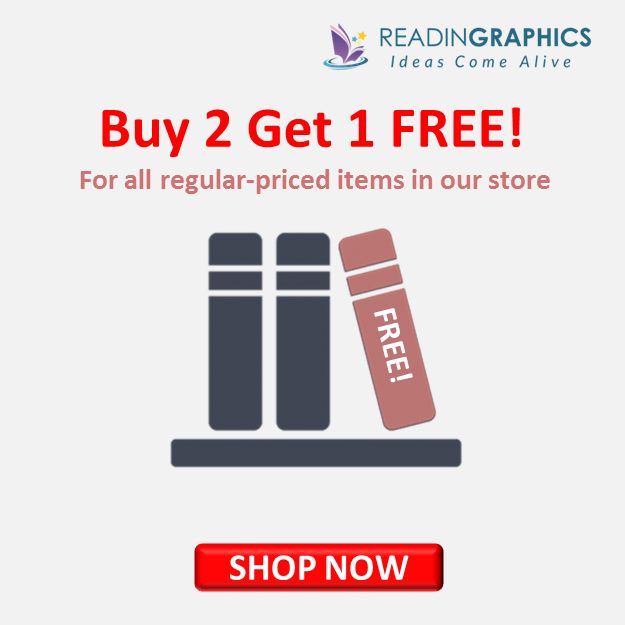 For the full details, examples and tips, do get a copy of the book, or get a detailed overview with our complete book summary bundle. At least 50% of businesses fail in the first 5 years, and many continue to burn cash, accumulate debts or hover on the brink of collapse. Entrepreneurs may start a business to do what they love and gain financial freedom, only to end up as slaves to their businesses. They work hard, put in their life savings and chalk up debts to keep the business afloat; yet in the end, they still don’t make money. Profit First is built on this simple idea: Before you pay your expenses, take your profit first. Run your business based on what you can afford now, not what you hope you can afford someday. If you apply Profit First to a new business, you can make profits from day one. If you’ve been losing money for years and can’t even pay yourself a salary, then it’s time to transform your business. To get different results in your business, you must be willing to change what you may have learned about business and accounting. Businesses often suffer due to 2 big mistakes: They wrongly believe that bigger is better, and they focus on income instead of cashflow and profits. In our full 14-page summary, we explain (i) why you must get profitable before you try to grow/scale, and (ii) the difference between making money and taking a profit. We also elaborate on the “survival trap” that many businesses get caught in and why many entrepreneurs end up living from cheque-to-cheque and hand-to-mouth. 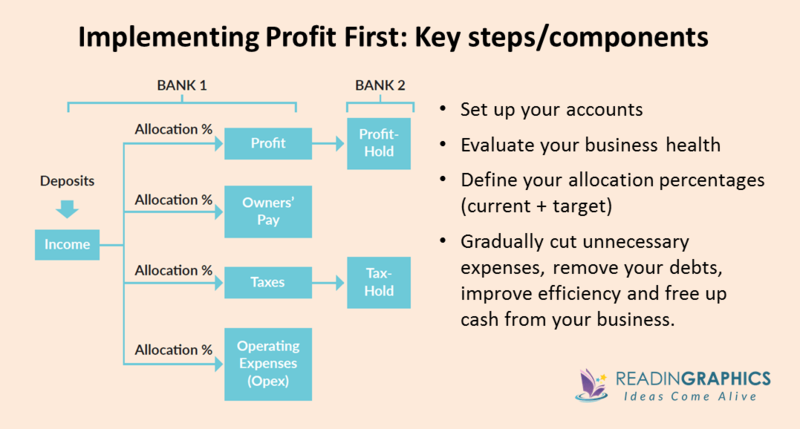 The Profit First approach requires a fundamental shift in your accounting formula. Instead of the traditional formula (Sales – Expenses = Profit), use this new formula: Sales – Profit = Expenses. Make profit your focus, not an afterthought. To transform your business into a money-making machine, you must develop sound financial habits, just like how you need healthy dietary habits to lose weight. The Profit First system is tailored based on 4 principles from dietary-science research. Here’s a quick overview. 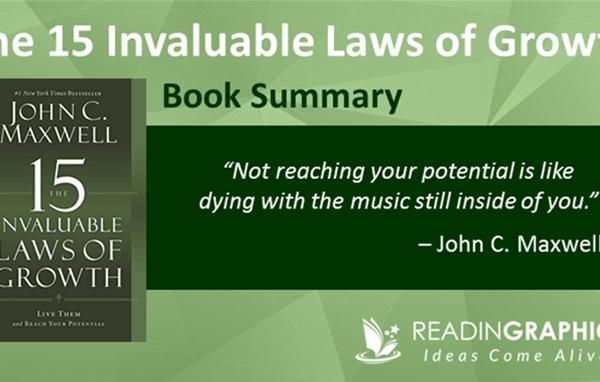 In the book /our complete summary we’ll elaborate more on the approach and how they relate to other concepts like the Parkinson’s Law and The Primacy Effect. 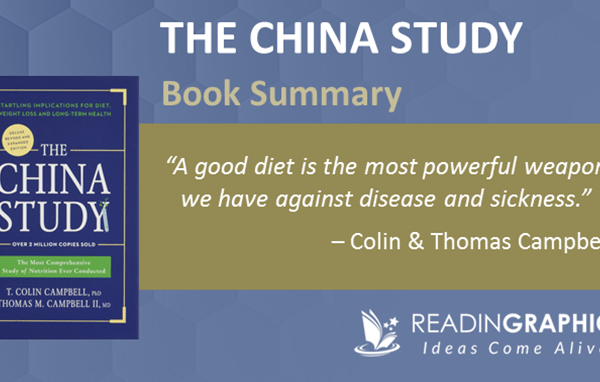 We tend to consume all the food on our plate. Simply by using a smaller plate, you can reduce your food intake. When you put all your money in 1 account, you feel richer and spend more. Reduce the amount of available cash so you’re forced to be smarter and more innovative with how you use each cent. Consume nutritious, low-calorie food (e.g. vegetables) first so you’ll be full by the time you get to the less healthy options. Here, you’ll be taking profit first and paying your bills last, by allocating your business income is allocated into sub-accounts in this sequence: Income => Profit => Owners’ Pay => Tax => Operating Expenses (Opex). It’s human nature to seek convenience. To cut down on junk food, remove remove them from the house and stock up on healthy food instead. Likewise, once you’ve taken your profit, keep it out of sight and out of mind so you won’t be tempted to use it for your business. Eat small, regular meals so you won’t get hungry and over-eat. Likewise, don’t wait for your monthly or annual statements to assess your cash position. Take a few seconds daily to log in and check your bank balance and do your income allocations and pay your bills twice a month. Here’s a quick overview of the Profit First approach. • How to set up your 5 core accounts and 2 “no-temptation” accounts and transfer/manage funds from each account. • How to improve your efficiency using innovative approaches and solutions. Fundamentally, Profit First is a way of life. It’s about changing how you do business so you actually get what you wanted in the first place—financial freedom and the ability to do what you want to do. You can also apply the principles to manage your personal finances. 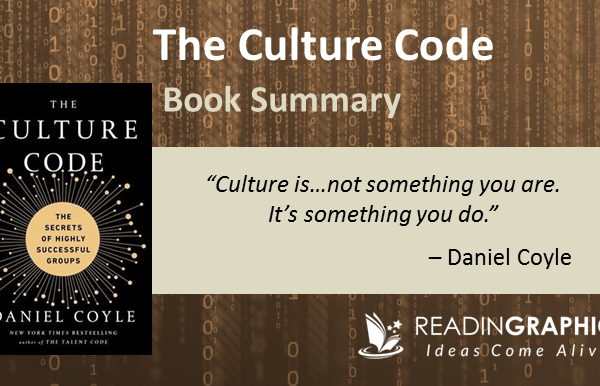 In the book, Michalowicz shares many examples of entrepreneurs who’ve turned their businesses around using this approach, as well as various scenarios and tips on how to apply the system and the mistakes to avoid. 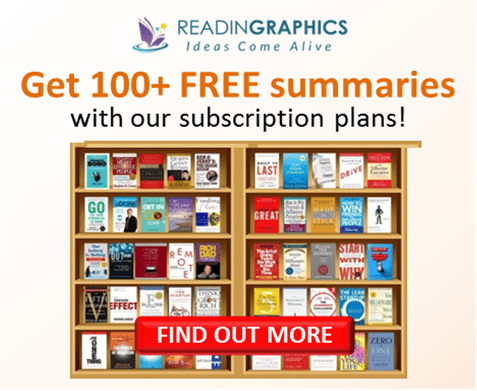 Do get a copy of the book for the full details, get our Profit First summary bundle for an overview of the key steps and tips, download the Instant Assessment form and get more details at MikeMichalowicz.com. Start to make real profits in your business and achieve your financial/business goals! 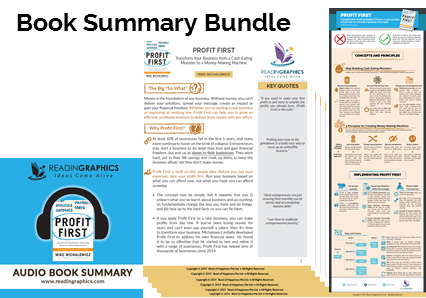 Click here to download the Profit First summary & infographic Click here to order the book online Click here for more resources and free tips!